As well as her stylish outfit choices, This Morning presenter Holly Willoughby is well-known for her gorgeously glowing complexion. The 37-year-old always looks flawless whilst on screen. But just how does she do it? She has admitted that she actually relies on an affordable pack of make-up wipes to help keep her skin looking pristine. Despite common beauty advice that make-up wipes aren’t the best way of cleansing our face, and could actually cause damage to our skin – Holly appears to have found the exception. The mum-of-three confessed that, with a busy schedule, a complex, in-depth cleansing routine just isn’t possible most nights. As such, she revealed that face wipes have come to her rescue time and time again over the years. Speaking to the Sunday Times Style magazine recently, she said, “I fully admit that I’m not the world’s best at taking off my make-up. “Now I don’t care that you beauty types are gonna talk to me and say ‘they’re so bad for your skin’, I don’t care.” Well, if it works for Holly! 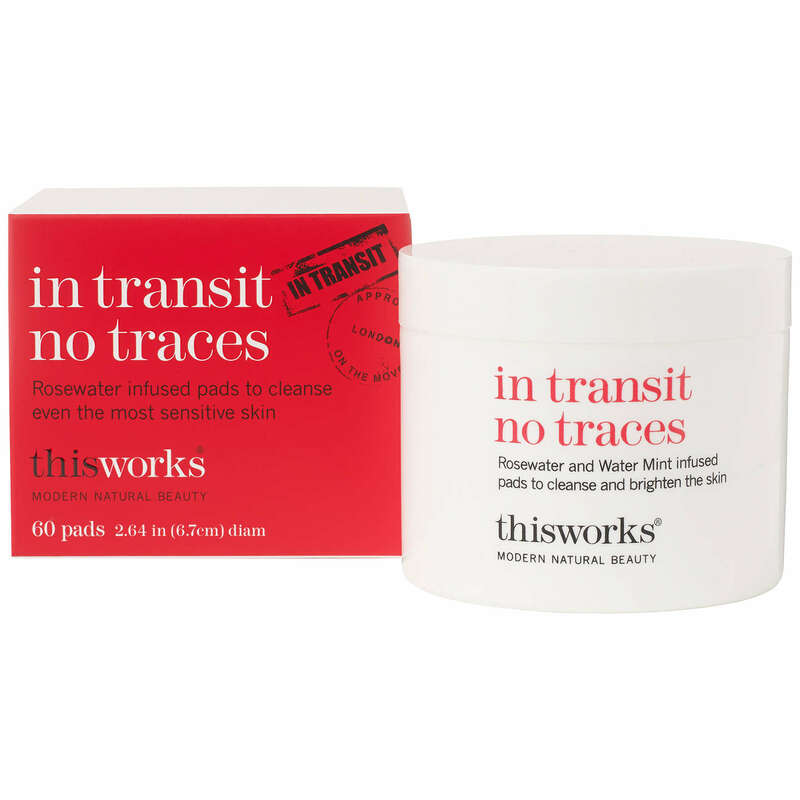 It’s reported that Holly then choses to spend a little bit more on her choice of make-up wipes, allegedly opting for the This Works In Transit No Trace wipes, which sell for £17 for a pack of 60 at Boots. Promising to rid your skin of daily dirt and grime, and made with refreshing and calming rosewater and mint, it’s really no surprise that the This Morning presenter loves them. In fact, fans have also praised the handy little product on the Boots and This Works websites, in particular for being good on sensitive skin. While another shopper agreed, saying, ‘Great for sensitive skin. Cool and comfortable on the skin and appear to remove make up effectively.